Teaching about recycling? Borrow an educational kit or game for your class or community group. Reserve online or call 651-266-1199. Hosting an event? Call 651-266-1199 for temporary bottles and cans recycling bins and organics recycling bins, or reserve them online. Calling all business organizations in the East Metro! Got a great idea to get other businesses to go green? Use our green to get going. Green Ramsey is published by the Environmental Health Division of Saint Paul - Ramsey County Public Health. 2785 White Bear Ave. N.
Minnesota Mold & Engineering Group (MME) is a manufacturer of plastic and silicone parts. They were already recycling pallets, scrap metal and plastic film, but their plastic and silicone scrap as a by-product of the manufacturing process was going into the trash. Not only was this a big expense for the company, it was a waste of resources. MME worked with BizRecycling to identify local plastic recyclers and to improve their single-sort recycling system. A BizRecycling grant allowed MME to purchase standardized and color-coded bins, as well as tilt trucks and other supplies to streamline their recycling. 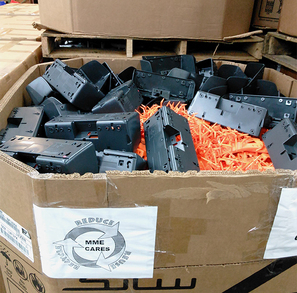 MME now recycles at least 29 tons of scrap plastic per year and another 9 tons of single-sort recycling. Thanks to their efforts to recycle better, MME cut their trash volume in half, saving about $800 per month on trash hauling expenses. Since MME is so happy with the results at their Saint Paul facility, they are implementing similar programs at their Maplewood location. BizRecycling works with businesses in Ramsey and Washington counties to improve their recycling or organics collection. Learn more at BizRecycling.com or call 651-266-1199. First Fix-it Café Was a Great Success! September’s Fix-it Café was a huge success! Working with volunteer fixers and menders, 65 attendees repaired over 450 pounds of household items, all while enjoying free coffee, pastries and the welcoming atmosphere of BlackStack Brewing. Several partners made for a successful event, including Mobile Menders, Minnesota Tool Library, True Stone Coffee Roasters, MyTalk 107.1 and Can Can Wonderland. 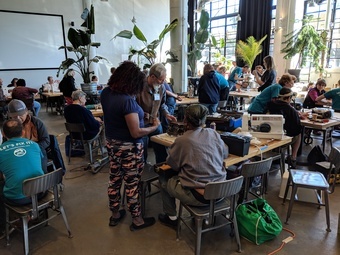 The Fix-it Café, a spin-off of the monthly Fix-it Clinics, highlighted the importance of community connectedness in a relaxed atmosphere, all while offering the same free repair services of a typical Fix-it Clinic. Visit RamseyRecycles.com/FixItClinics and join us at the next Fix-it Clinic! In the meantime, don’t trash it – fix it! Tis the season for food, fun and family time! If you’re having guests over, make it easy for them to recycle by putting out a bag or bin to collect empty cans and bottles. Bonus points if you add a sign that says, “Bottles and Cans” on the recycling bag or bin! 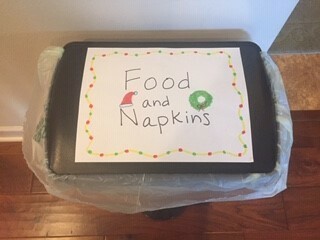 If you do organics recycling, you can set out an organics recycling bin, too, with a sign that says, “Food and Napkins” or “Food, Napkins and Plates” if you are using uncoated paper plates or certified compostable plates. You can also borrow temporary recycling and organics containers for large events. Go to RamseyRecycles.com/EventRecycling to make your request. Lather your hands with soap. Scrub hands, wrists and under nails for 20 seconds. Dry hands with a clean towel. This is especially important to do before and after preparing food, before eating, after coughing, sneezing or touching your nose, and after using the bathroom. Vinyl flooring and/or the Mastek glue under it. Hot water heat pipe insulation. While newer houses are likely to have less asbestos, it is still being mined around the world and used in common building materials that are sold at major home improvement stores around the U.S. today. Asbestos is typically an alarming word. However, asbestos is not a health concern in building materials that are in good condition and building materials that will not be disturbed. 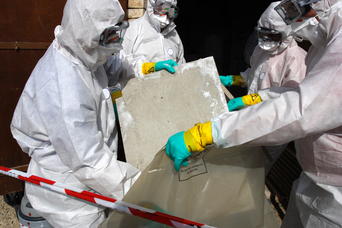 If you are renovating or remodeling your home, find a licensed asbestos contractor to safely remove asbestos. Do not do it yourself. Visit the Minnesota Department of Health for more information. Sign up to receive Green Ramsey in your inbox each month.